So pretty, these Sprigs in a Blanket (good one, huh?) are perfect for a party appetizer or even a fancy but simple side dish for your Easter dinner or brunch. 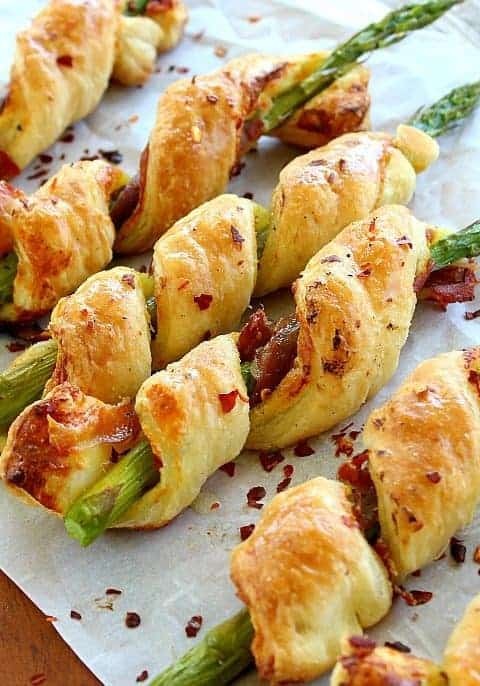 Almost anything wrapped in puff pastry is a winner, and my family found these wrapped asparagus lovelies to be irresistible and “cute”. Whatever it takes, right? 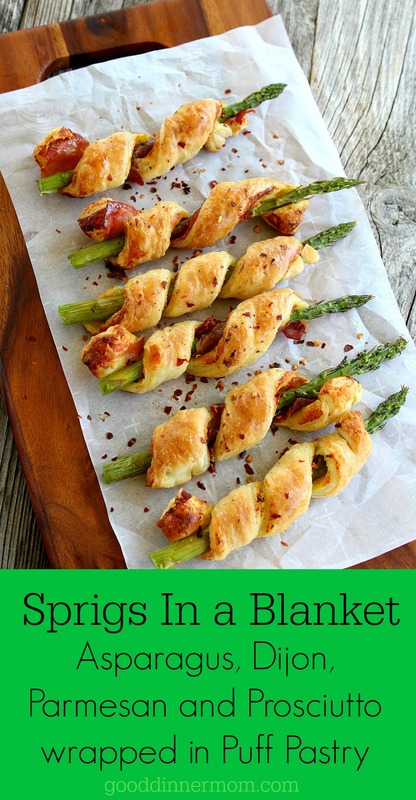 But Sprigs in a Blanket don’t take much effort at all. Simple as can be- roll the puff pastry to make a 10-inch square (or almost square, in my case). Layer with Dijon mustard and either Parmesan or Pecorino cheese. Then cover the pastry with thinly-sliced prosciutto. Using a pizza cutter or sharp knife, slice the dough; I had to use scissors to help the proscuitto cut through. 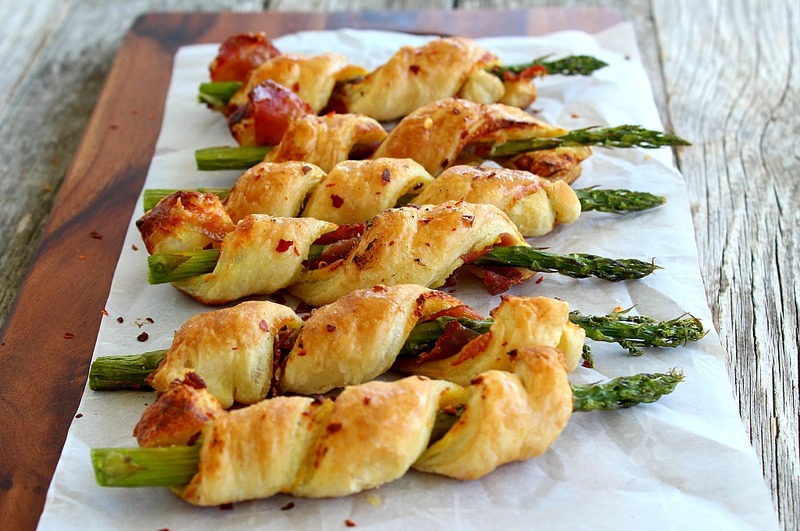 Wrap your sprigs in a “blanket” of the pastry and bake; that’s it! These look awesome and even veggy-haters might give them a try. The mustard and smokey prosciutto in the puff pastry is kind of like hot dogs with a (healthier) high-brow flair. I experimented with reheating the sprigs in a blanket and though not quite as crispy as first-baked, they’re acceptable if you have any leftovers, but don’t count on it. Excellent as appetizers or even a fancy, playful side dish. Make them vegetarian by leaving off the prosciutto. Once the puff pastry has thawed, these come together in a snap! Heat oven to 425F degrees. Line 2 baking sheets with parchment paper. Set aside. On a lightly floured surface, roll out the puff pastry into a 10" square. Brush with the mustard and sprinkle with cheese, fully covering the pastry. Line the pastry with enough prosciutto to cover much of the surface. With a sharp knife of pizza cutter, cut the sheet in half (you might need kitchen scissors to help cut the prosciutto); then cute halves into twenty 1/2" by 5" strips. 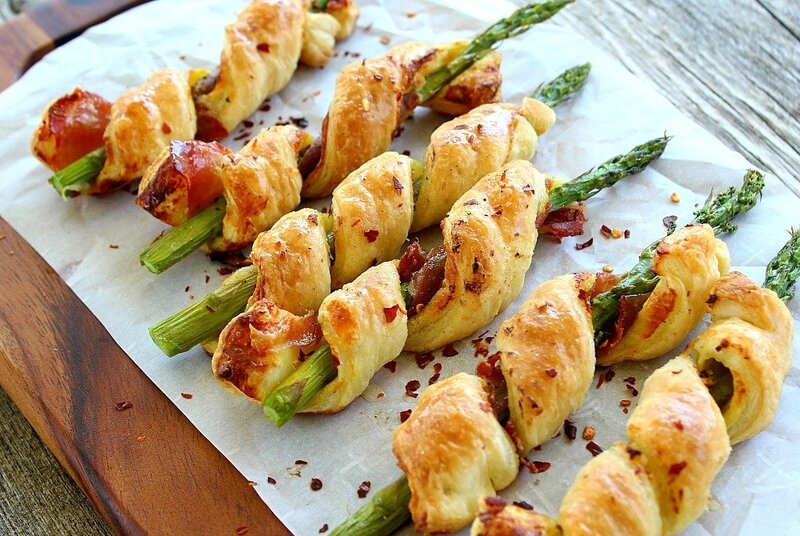 Wrap each strip around 1 stalk of asparagus with the prosciutto side facing in. 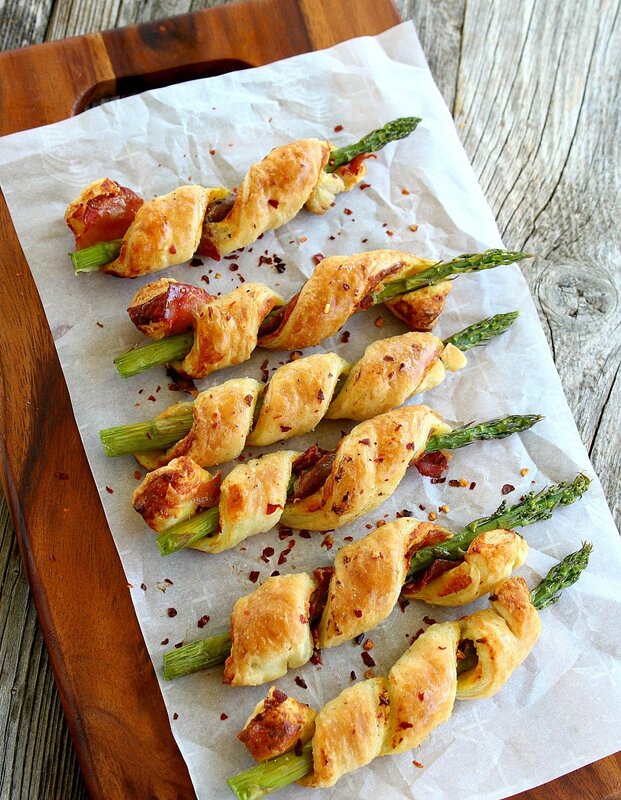 Place wrapped asparagus on the parchment-paper-lined baking sheets. Lightly spray each spear with cooking spray. Bake 15-20 minutes, until golden brown. Note: Rotate the baking sheets half-way through baking so both pans bake evenly. Serve immediately. I've made these and then had to refrigerate and reheat the spears before and though not quite as crispy, they are acceptable reheated. 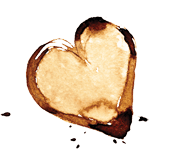 For reheating, preheat oven to 325F degrees and then heat for about 10 minutes. Recipe slightly adapted from Good Housekeeping.